Find the perfect pumpkin for your prize-winning Jack-O-Lantern, savory pumpkin recipes, haunting fun or favorite family traditions. 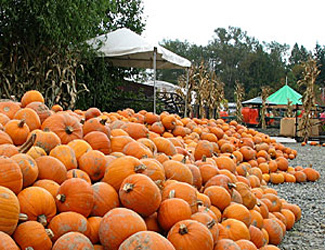 Here's our unofficial guide to local pumpkin patches right here on the Eastside. There's no better way to spend an autumn weekend than a trip to the pumpkin patch. It's good wholesome fun for the entire family, especially the little ones. 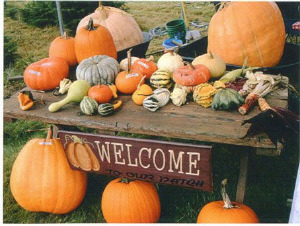 And luckily, there are plenty of farms in the eastside offering pumpkin picking, corn maze, farm animals and even free hayrides for a fun-filled family day on the farm. But before you pack the kids in the car to go pumpkin picking, be prepare. It's always a good idea to call ahead to make sure the pumpkin farm is open and for directions. Leave your Ferragamo or Jimmy Choo at home. Wear loose, comfortable clothing, including rain boots or running shoes. Expect to get dirty if you're picking your own pumpkin. So dress accordingly. Don't forget to have fun. Bring your camera and snap away at those big smiles. 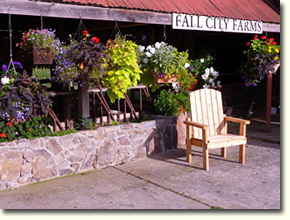 All the farms on our list are U-pick farms, but still call ahead to be safe. 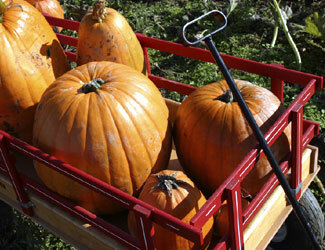 Some u-pick farms offer pull wagons or wheel barrels to help you carry those pumpkins back from the field. Get one if you can. Here's a Bellevue.com tip: Bring lots of plastic grocery bags. They're perfect for lugging the pumpkins from the field back to your car. 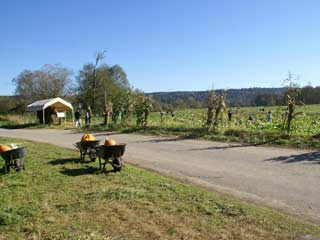 Farm Store and U-Pick Pumpkin Patch opens September 29!